Our Chief Investigators Prof Ken Ghiggino and Assoc Prof Trevor Smith travelled through China in September 2017, attending workshops and presenting lectures in Xi'an, Jinan and Changchun. 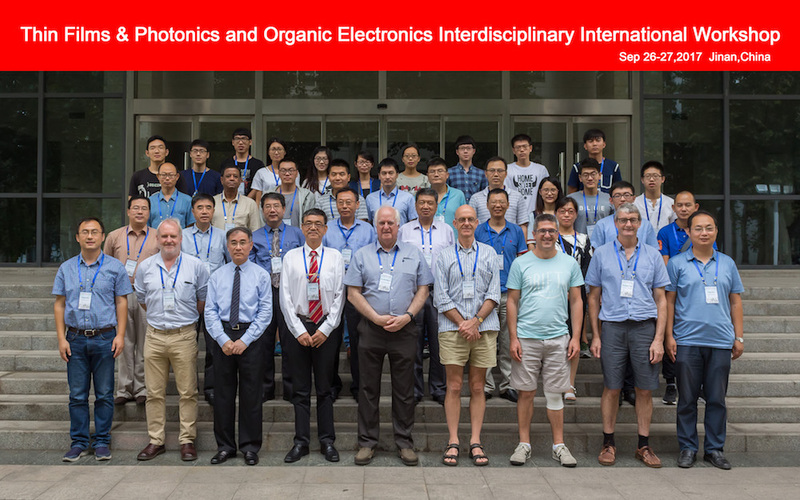 Below is a photo of attendees at the Thin Films & Photonics and Organic Electronics Interdisciplinary International Workshop with Assoc Prof Trevor Smith (second from left, front row), Prof Ken Ghiggino (centre, front row) and Chief Investigator Prof John Sader (third from right, front row). The workshop was organised by our Partner Investigator Prof Xiao Tao Hao (first from left, front row) and his colleagues at Shandong University, Jinan.